Johnnie Walker, the iconic Blended Scotch Whisky brand, had a challenge. Their category was seen by younger drinkers as stodgy and unapproachable. They knew mentorship – guided tastings led by brand ambassadors – was very effective at shifting this perception, but the in-person sessions weren’t scalable. That’s where we came in. Leveraging two innovative conversational platforms, Amazon Alexa for voice and Facebook Messenger for chat, we translated mentorship into interactive digital experiences that could reach a far greater audience. These experiences each delivered the core elements of digital mentorship: Johnnie Walker label selection and purchase, guided tastings, cocktail recipes, and brand education. However, each was also tailored for specific user behavior and the functionality of its platform. From creative concept to UX/VUI (Voice User Interface) design through development, these experiences were produced entirely in-house. 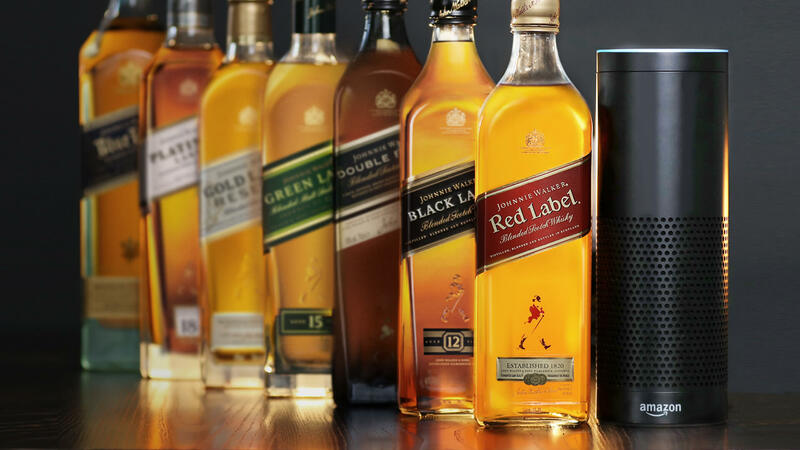 And with over 7,000 daily unique users of the Facebook Messenger experience and over 4,000 of the Amazon Alexa skill (along with a 5-star customer review rating) in just their first 5 months, we were excited by the progress toward engaging, guiding, and ultimately converting new Johnnie Walker customers.